Meet the Amazing Dentists of Alligator Dental! Dr. Al Burns received his Certificate in Pediatric Dentistry from Ohio State University and Nationwide Children’s Hospital in June 2009. He then became Board Certified in 2010. His education included advanced studies and specialized training in dentistry for children, adolescents, special needs, and medically compromised patients. His training also focused on sedation, anesthesia dentistry, and interceptive orthodontics. He received his Master’s of Science Degree from Ohio State University. Dr. Burns graduated from the University of Nebraska Dental School in 2007, and he received his Bachelor’s Degree from Utah State University in 2003. He directs all dental services at Alligator Dental, including providing prophylaxis and dental care treatment. 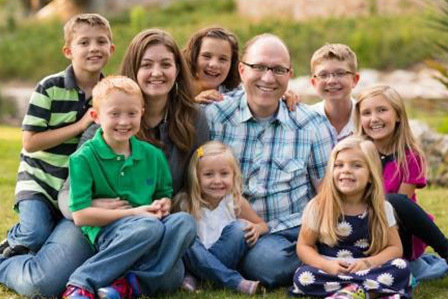 Dr. Burns loves children and has seven of his own with Lisa, his wife of seventeen years. In addition to his family and pediatric dentistry, other passions include football, fishing, and fireworks. Dr. Anas Hakimeh received his Certificate in Pediatric Dentistry from Rutgers University in New Jersey in 2017. He was born and raised in Damascus, Syria. As an older teen he moved to Hamburg, Germany to study and attended dental school at the Charite, University of Berlin, graduating in 2009. 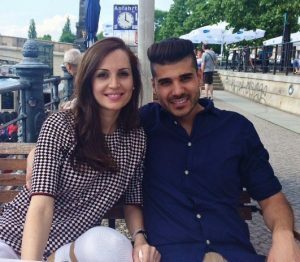 Shortly after graduation Dr. Anas returned to Syria to practice as a General Dentist. In 2014, he was accepted into the pediatric dentistry program at Rutgers University and relocated to the United States to complete his training. Dr. Anas enjoys traveling and reading about different cultures. Food is his passion and he likes to cook, especially Mediterranean food. He loves the sun, tennis, water activities and his wife, Caroline. Dr. Anas is driven by his passion to help children of all ages have a healthy and beautiful smile. Dr. Mai Luk graduated with Honors from UT Health San Antonio School of Dentistry with a Doctor or Dental Surgery degree in 2016. Immediately following graduation she was accepted to their Pediatric Residency Program. Her training includes extensive experience in sedation, dental trauma and treating children with special health care needs. 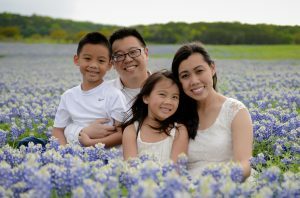 Dr. Mai was born in Vietnam but raised in Oklahoma City until she moved to Austin, Texas as a freshman in high school. She attended the University of Texas at Austin and graduated in 2002 with a Bachelors of Arts degree in Biology. She worked as a pharmacy technician at Brackenridge/Dell Children’s Hospital of Austin for 8 years before her husband convinced her to try dentistry. Dr. Mai enjoys photography, reading, knit and crochet. She loves being outdoors and enjoys tennis, archery and running. 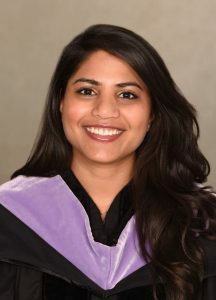 Dr. Poonam Shah graduated from the University of the Pacific Dental School in CA in 2015 and received her Certificate of Pediatric Dentistry from Children’s Hospital in Michigan. Dr. Shah was motivated to pursue Pediatric Dentistry due to her own dental experiences as a child and is excited to provide high quality dentistry for children in a fun and positive environment. With solid communication and by truly caring she hopes to make each visit enjoyable for both the children and their parents. Although Dr. Shah did not grow up in Texas, both her parents are UT Austin graduates and lived in Texas for over 10 years. She feels a natural bond with the area and looks forward to exploring true Texas charm. During her spare time Dr. Shah enjoys cooking vegetarian meals, tennis, exploring Texas, traveling and hiking. Her favorite animals include dogs, horses and llamas.